Twitter is great for many things to the EVE community, but its horrible to properly get all your points out in a logical and thoughtful manner. Case in point, this conversation about CCP endorsed Fansites and the up and coming Twitch streaming community. To summarize, there is some question about if Streamers should be welcome into the CCP Fansite program since they may or do make money from the operation of their stream. I've been a fansite for a few years now and besides the free account for my main I've received no monetary compensation for my blog or podcast. I've avoided adding any advertising through Google or otherwise, not out of a desire to remain pure or unbiased but mainly because I don't want to clutter my website with junk. I've never asked for donations either even though running the website and domain registrations and podcast storage costs me some coin every year its a cost I'm willing to absorb for my hobby. So the question before the panel today is this: Should a site (blog/podcast/twitch stream/youtube channel/etc) be non-profit in order to qualify for Fansite designation? Somerblink bring the question into sharp focus as before the scandals hit it was promoted very heavily by CCP and was definitely a for-profit enterprise in the long run. Was the fact it was for-profit that lead it down the path afoul of CCP or was it unrelated? Should small time streamers that make virtually no money be denied access to the program to be "fair" to the fewer larger streamers that can make money? And what of streamers that do multiple games on their channel? What percentage of content has to be EVE related to retain fansite status as I know I sometimes talk about other games I play, hell until this blew up I was composing a Minecraft post. Ultimately I think that CCP should ignore the non-profit / for-profit concerns of sites and evaluate them based on their content and appropriateness. That means I think streamers should be welcome with open arms into the Fansite program. Kinda think the debate is moot at this point, since I have yet to see any _new_ sites make it into the fansite program. Phyridean and myself have been waiting for any feedback on our applications for Hydrostatic and Prosper respectively. Monetization is covered pretty strictly by both the game and API EULA, drawing the line pretty solidly at "do not paywall content". And though I personally would like to see this relaxed, especially for API tools, the lines seem to be pretty well defined. Also, enforcing takedowns for inappropriate monetization are a different operation from fansite status. I have to agree here, I have asked a few times and evidently I don't blog often enough even though my blog is followed and is solely about EVE.. heck, I even had CCP Seagull post a comment on my blog and even that does not seem to add up to 'fan site' in their eyes... and I don't have ads or anything else either. As someone who created their blogger account (and blog) primarily to not be Annon/random commenter # x the status and requirements for getting fan site status has never really bothered me too much. I will probably never reach the amount of content needed to become one. 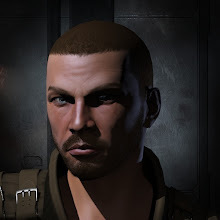 The thing that CCP really needs to ensure is that the sites that do are keeping enough old players who would quit, or bringing enough new paying customers so that the profits more than offset the cost of the free account. 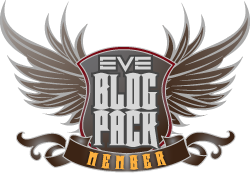 With the amount of quality entertainment, information, and effort the Eve streamers provide to the Eve community I would certainly hope that someone at CCP would recognize their value and figure out a way to get them an Eve Online Fansite designation. 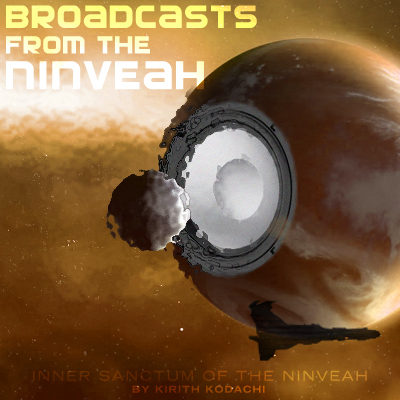 The UHURT streamers, Sard Caid, and Fintarue are outstanding steamers and a great resource to introduce non-players to Eve Online and current care bear players to PVP. I send people to their streams all the time.